How to Submit a New PGWP Application If You Were Previously Refused - Canada Immigration and Visa Information. Canadian Immigration Services and Free Online Evaluation. A ruling has been made on the issue of how courses completed via distance learning are treated when it comes to applications for a Post-Graduation Work Permit (PGWP). Previously, students who applied having completed their most recent studies via distance learning have had their applications for a PGWP turned down. But a Federal Court decision and subsequent change in Immigration, Refugees and Citizenship Canada (IRCC) guidelines means those denied permits between September 1, 2014 and March 15, 2016 on these grounds can submit new applications and have courses previously completed in Canada taken into account. Provided a sufficient proportion of a graduate’s education took place in class, in Canada, there is a strong chance of success in the new application and it should be process in 40 days. When the PGWP program was introduced two years ago, immigration department guidelines were clear in prohibiting distance learning. In spite of this, some publicly-funded community colleges created four-month General Arts and Science (GAS) programs which were mostly completed online. If a student had a previous diploma in Canada and some foreign education, the community college would award a two-year diploma after completing the four-month program. The IRCC started refusing some PGWPs on the grounds the GAS program was mostly completed by distance learning. After extensive consultation, the Federal Court decided a case on point finding that IRCC needed to look at all courses taken in Canada, both during the first diploma here and the second GAS diploma. The ruling said distance learning was ok if, taken as whole, most courses were in-class rather than online. In December 2015, the Federal Court in Appidy versus Canada granted the judicial review of an applicant whose PGWP was refused because five of the six courses completed in the last program of study were designated ‘distance learning’. The Federal Court ruled that, based on the existing program guidelines, the entirety of an applicant’s Canadian post-secondary studies leading to a diploma, degree or certification, including transferred credits from a different institution, ought to be considered when assessing eligibility for a PGWP – not just the coursework for the final program of study. On September 27, 2016, Immigration Minister John McCallum issued a public policy saying open work permits would be issued, temporary resident status restored and all related fees waived for those graduates initially denied PGWPs because part of their diploma was completed via distance learning. The deadline for new applications is March 17, 2017. They were refused a PGWP between September 1, 2014 and March 15, 2016. The reason for refusal was because the applicant completed the majority of their coursework by distance learning, and the entirety of their program of study, including transfer credits, was not considered when the decision was made. IRCC guidelines expressly state applicants must identify the rule change themselves and submit a new application. 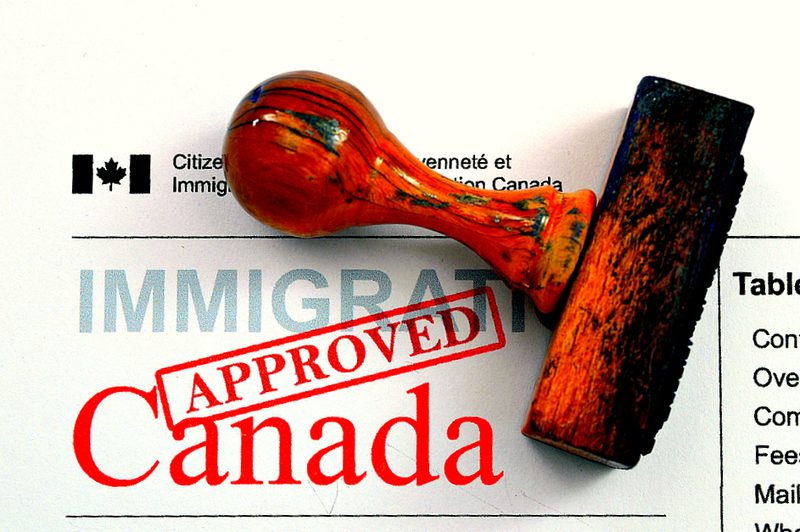 Applications can be made from inside or outside Canada, waiving the requirement for work permit applications to be made from outside the country. Applications can be made regardless of when temporary resident status was lost, waiving the 90-day restoration of status requirement. Complied with surveillance requirements, if required, for inactive tuberculosis. Have not visited a designated country for a period of 6 months or more within the 12 months prior to the date the new application is submitted. For applications from outside Canada, standard processes apply, meaning applicants must complete an IME in order for officers to finalize an application. Identify themselves as eligible based on above conditions. Complete the application on paper. Include a copy of their PGWP refusal letter dated between September 1, 2014 and March 15, 2016, if available. Include documentary evidence that the majority of their coursework, including transfer credits, was done in-class and not by distance learning. Clearly identify their application by writing ‘Public policy for refused PGWP applicants’ on the outside of the final envelope, and on the first page of the application. Bundled applications should be clearly labelled ‘Public Policy for refused PGWP applicants’ on the outside of the box. Undergo an IME before submitting their application, if one is required. Submit their application on paper only to the visa application centre serving their country of residence. Clearly identify their application by writing ‘Public policy for refused PGWP applicants’ on the first page. If all requirements are met, the IRCC will process these specific applications within 40 days. Foreign nationals eligible under new PGWP rules but have a pending application for a temporary resident permit and/or an open work permit, must withdraw the pending application. This can be done using the IRCC web form when the PGWP application is submitted. Fees paid will be refunded. IRCC is awaiting approval for foreign nationals eligible for a PGWP under the new rules who subsequently had a temporary resident permit and/or open work permit refused to have their fees refunded.